Choosing Basset Hound Breeders " "
Did you know that looking for reputable Basset Hound breeders doesn’t only mean making sure that the dogs they breed are healthy and meet breed standards? When choosing a breeder you also need to find out the reasons why the breeder has decided to carry on the line of this particular dog breed. A reputable breeder doesn’t leave breeding to chance. They have carefully selected the sire and dam for specific reasons. Their reasons may be to breed the dog for a specific look or temperament for producing a litter of champions meant for those interested in showing and using their dogs for competition. On the other hand, other breeders may be producing a breed for regular family companionship. Therefore, you need to find reputable Basset Hound breeders that are breeding dogs to suit your needs. This is because dogs that are bred for characteristics that are ideal for showing, does not mean that these characteristics are also ideal for a family pet. You also need to be aware of the fact that many breeders who breed for showing, tend to reserve the top pick of the litter for themselves. This means that you have less of a chance to find the dog best suited to you. Of course, when it all comes down to it, the health and temperament of the puppies is really what should concern you most. In other words, there is no reason why you shouldn’t consider obtaining a puppy for a family pet from a Basset Hound breeder that has bred their litter for show, and is also allowing them to be sold as pets. As long as the option is available, the puppy is healthy, comes form a good line, and has been raised in a clean and happy environment, go for it. 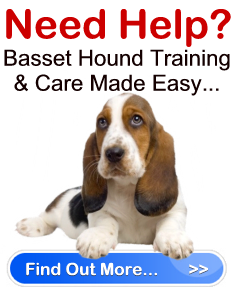 Just make sure that regardless of where you choose to acquire your Basset Hound that you ask the breeder plenty of questions, and that you are satisfied with the answers you receive. That being said, remember it is also the job of good Basset Hound breeders to select good owners. Therefore, don’t be surprised or offended if you are given the third degree by a breeder. After all, they want to make sure that the puppies they are responsible for are going to a good caring and loving home.